In a recent article about shipwrecks on the National Geographic Channel’s website, the author makes a point of mentioning that “the risk of crashing into another vessel remains high” in shipping lanes and harbors worldwide. Unfortunately, his words proved prophetic late last month when a 42-foot fishing boat sank after a 110-foot Coast Guard cutter collided with it off the coast of Puerto Rico. According to Military.com, the shipwreck happened around 6:30 a.m. a little less than 10 miles east-northeast of the coastal town of Vieques. Reportedly, two men, ages 57 and 30, were aboard the commercial fishing vessel at the time of the incident. The men were attempting to catch lobster when the Key Largo, a U.S. Coast Guard cutter based in San Juan, crashed into their boat. Seeing what was about to go down, both of the fishermen abandoned ship prior to the collision. The 57-year-old man, who was the fishing boat’s captain, had to be pulled from the water by the crew of the Key Largo. The other fisherman climbed back onto the fishing boat after the crash, before he joined his captain on the Coast Guard vessel. The Coast Guard was still investigating the incident at the time of this report. 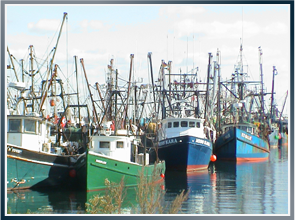 For more information about sinking accidents and fishing boat wrecks, or to discuss your situation with a maritime trial lawyer, call us or visit our Facebook page to schedule a free and confidential consultation today. Previous What Causes Ships to Sink? Next Is It Safe for Pleasure Boats and Towboats to Share the Water?